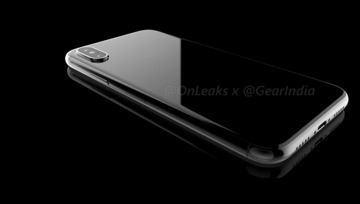 Prolific electronics leaker OnLeaks has posted a rendered video of the "iPhone 8" that was crafted off of an alleged CAD schematic of the casing of the phone. 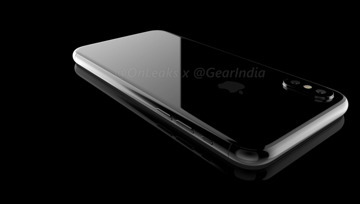 The 25-second long video created by Gear India shows a render similar, but not identical to a fabrication from the end of April. 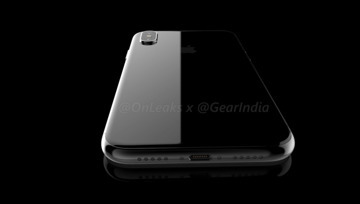 It illustrates a possible glass sandwich design, an edge-to-edge screen, a camera protrusion with centered flash between two lens elements, and an overall thicker enclosure than the iPhone 7. 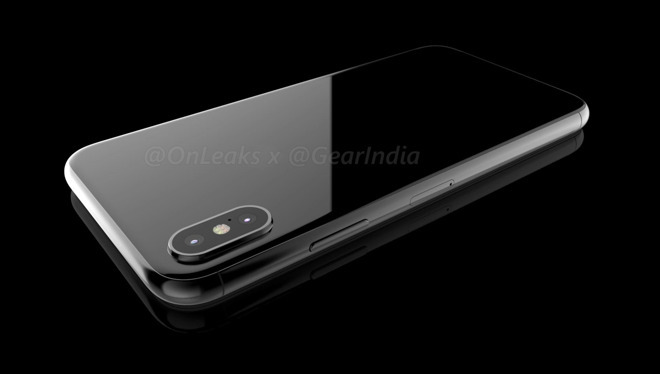 However, OnLeaks isn't convinced that the render is perfectly accurate, and cites that Apple is working on several potential designs for the phone. 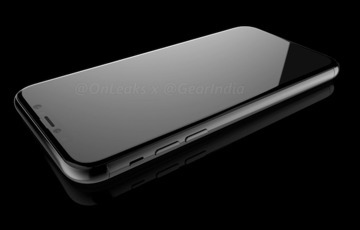 On April 13, a sketchy diagram clearly labeled as an EVT, or Engineering Validation Test, first appeared, featuring a device thicker than that of the iPhone SE, currently the thickest iPhone that Apple produces. 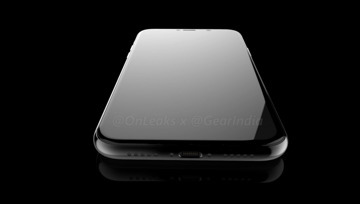 Later in the month, a href="http://appleinsider.com/articles/17/04/19/another-alleged-iphone-8-schematic-shows-touch-id-home-button-on-back-of-device-vertical-camera">a conflicting schematic appeared, altering flash position, and some other factors. The measurements showed a phone with equal dimensions to the leak earlier in the week. On April 24, a purported internal schematic of the "iPhone 8" surfaced, showing a phone with a more conventional Touch ID location on the bottom front of the device, two batteries, and other other internal realignments needed for a vertical camera module position. 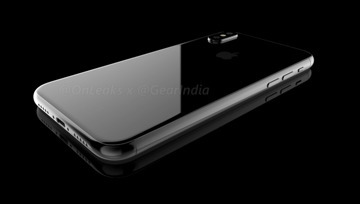 As OnLeaks stated after publishing Wednesday's render, multiple reports have indicated that the company is still testing a variety of external case designs before fabrication begins, ahead of an anticipated September product unveiling.